Cervical laminoplasty is a spinal surgery treatment that involves cutting the part of the vertebrae that covers the spinal canal in an effort to relieve pressure on the spinal cord. The part of the vertebrae that is cut is called the lamina. The pressure on the spinal cord can be due to a variety of reasons, including a herniated or fractured disc, degeneration, or arthritis. If the pressure is severe enough, symptoms of spinal cord damage known as myelopathy can arise. Cervical laminoplasty is similar to laminectomy in that it alters the vertebrae to reduce spinal cord pressure; however the lamina is not removed, but rather cut. If you suffer from neck, back, or nerve pain, it’s important that you consult a spine surgery expert to receive a proper diagnosis and to review your treatment options. 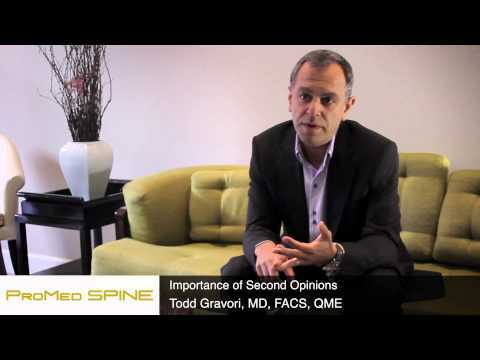 The renowned neurosurgeons at ProMedSPINE specialize in advanced treatments and surgery of the spine. With innovative techniques and a patient-centered approach, our spine surgery treatment center is known for providing the best cervical laminoplasty in Los Angeles. Cervical laminoplasty is a surgical technique that relieves pressure on the spinal cord. This type of cervical spine surgery is done in the neck. The procedure is frequently referred to as “open door laminoplasty” because of the method in which the lamina is altered. The surgeon cuts the lamina on both sides of the vertebrae. One side is completely cut through while a groove is cut on the other. This bone flap is now free to swing open, thus eliminating the excess pressure on the spinal cord. When this section of bone is swung into position, the surgeon can use metal plates or bone pieces to secure it in place. This allows the newly enlarged spinal canal to maintain structural integrity. Cervical spine surgery differs from the laminectomy procedure in the amount of bone and tissue that is either removed or altered. Please visit eMedicine‘s article on laminoplasty to learn more about this back procedure. When is this Operation Performed? Cervical laminoplasty is often used in an effort to treat cervical myelopathy by eliminating the narrowing of the spinal canal. Myelopathy refers to any neurological deficit of the spinal cord, and is most often due to the compression of the spinal cord in the cervical spine. This is frequently caused by extruded disc material or the wear-and-tear effects of aging. The compression can cause a variety of symptoms, especially pain and numbness. Compression can make it difficult to perform normal activities like walking, and may even lead to paralysis if left untreated. After cervical laminoplasty, the pressure is immediately relieved. Laminoplasty eliminates the pressure by creating more space for the spinal cord and nerves. How is This Spinel Surgery Procedure Performed? Cervical laminoplasty is an operation performed on the neck. Unlike laminectomy procedures, laminoplasty does not involve the removal of compressive structures. Instead, the lamina is cut through on one side and a groove is cut out on the other. This allows the bone to swing open as if on a hinge. The bone flap is then secured open, permanently allotting more room for the spinal cord. At ProMedSPINE, our neurosurgeons utilize the most advanced procedures and techniques to ensure the best possible outcome for every spine surgery procedure. With state-of-the-art facilities and technology, patients experience faster recoveries, better results, and less post-operative pain when undergoing cervical spine surgery. The purpose of cervical laminoplasty is spinal compression relief. Dr. Gravori and his team of spine surgery specialists have a very high rate of success with achieving the predetermined goals for each patient. Some patients may even see an improvement in function immediately following surgery. It is important to understand, however, that the best prediction for the outcome of cervical laminoplasty is usually a return to pre-operative functional levels. The ultimate goal of cervical laminoplasty is to prevent the further degradation of neurological function. If you suffer from back, neck, or nerve pain and would like to discuss the option of cervical spine surgery in Los Angeles, contact an expert spine surgeon today. 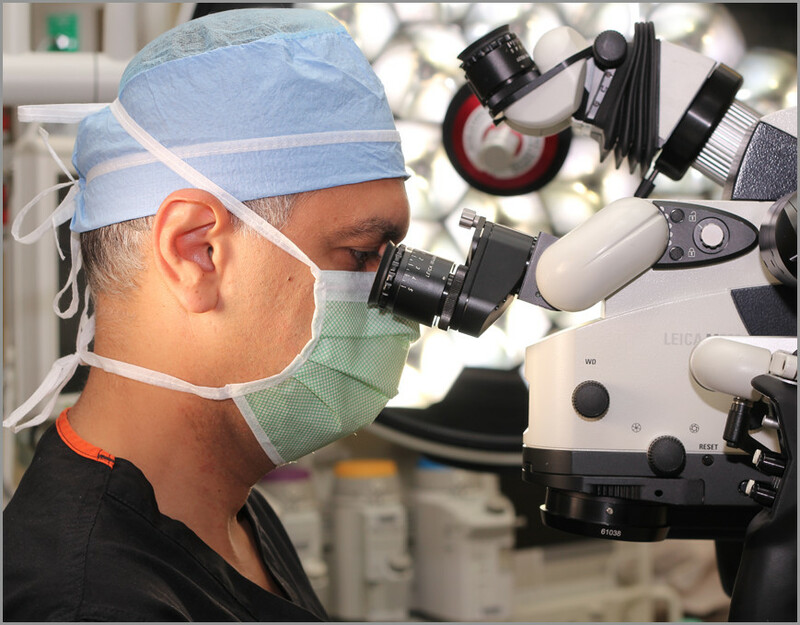 Our highly esteemed spine surgeons have travelled the world lecturing, devoted time to educating others in the field, and serve as a source for advancing minimally invasive spine surgery. Dr. Gravori and his team are a board-certified neurosurgeons with fellowship training in advanced spine surgery. His Los Angeles-based practice, ProMedSPINE, is dedicated to the comprehensive, state-of-the-art treatment of diseases and injury within the spine. As a renowned experts in spinal fusion surgery, our surgeons utilize their extensive knowledge of spinal pathology and the most cutting-edge surgical techniques to provide high quality, patient-centered care. Call 888-75-SPINE to schedule your appointment today. Next, please read about percutaneous endoscopic discectomy.